Welcome to the home of UBC Okanagan’s Office of Development and Alumni Engagement. We strive to help members of the campus community realize their full potential: in research, teaching, and learning. 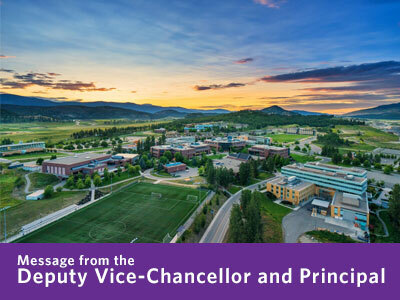 We deeply value our relationships with alumni, friends, and community members who seek to assist us in this endeavour and recognize that they may wish to contribute to the campus community in their own unique ways. 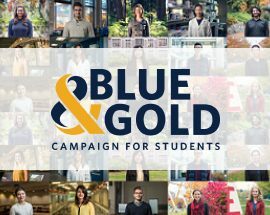 Please explore these pages to discover the diverse ways in which some of these contributions are making a difference in the lives of people on our campus, in the region, and across the broader world. Many more opportunities await. Feel free to contact us if you wish to explore, and discover, your own opportunities for impact. For information about our Student Awards, click here. For information about the Commons, click here. UBC Okanagan’s Faculty of Creative and Critical Studies (FCCS) is pleased to share the finalists of the 2019 Okanagan Short Story Contest.